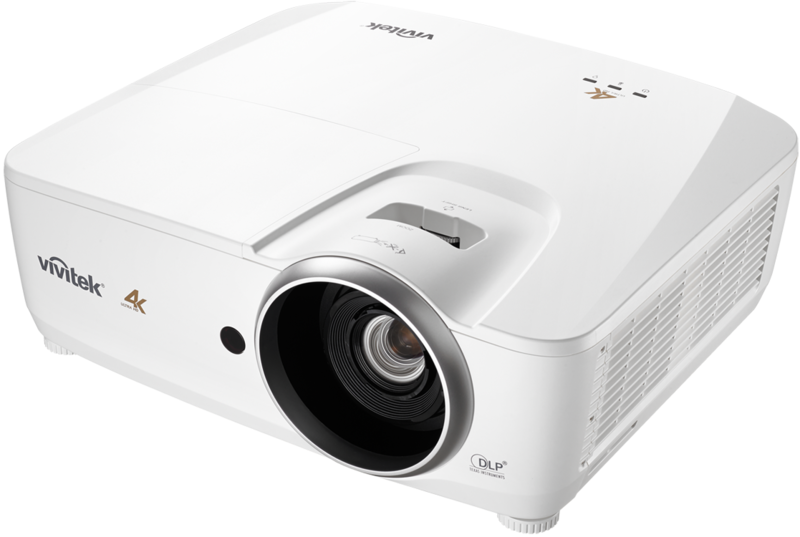 HK2288 is a vibrant ultra HD projector with 2000 ANSI lumen brightness, ideal for the home cinema enthusiast and the first model in Vivitek's 4K home theatre range. 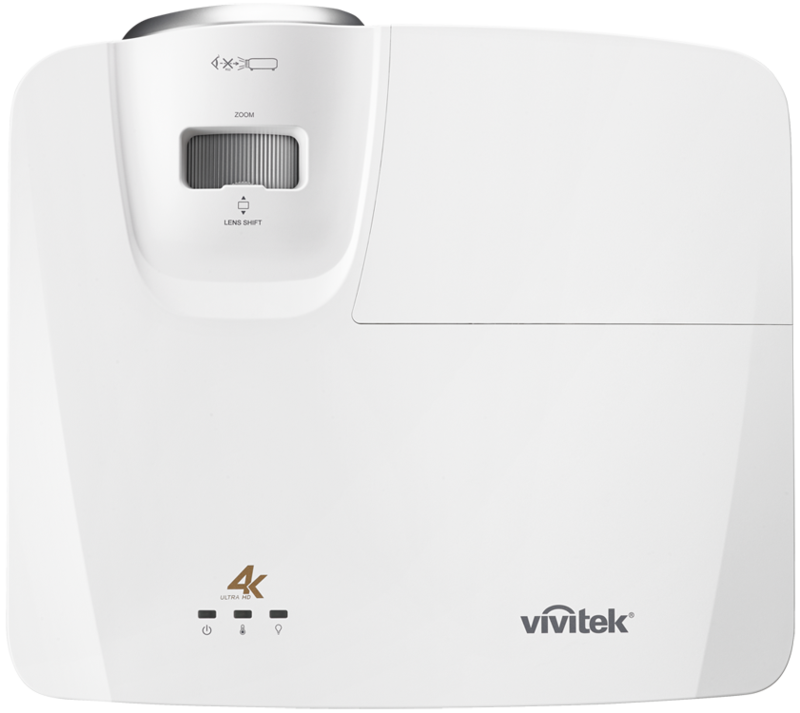 Vivitek HK2288 is the brand's first 4K Ultra HD home cinema projector and incorporates DLP DarkChip3 and BrilliantColour technologies to offer HDR support and 2,000 ANSI lumens of brightness. It also features a video processor supporting fluid video streaming and 12-bit programmable RGB colour adjustments and a built-in 10W speaker and audio out port. The HK2288’s lamp has a Dynamic Eco Mode ensuring it lasts up to 4,000 hours. 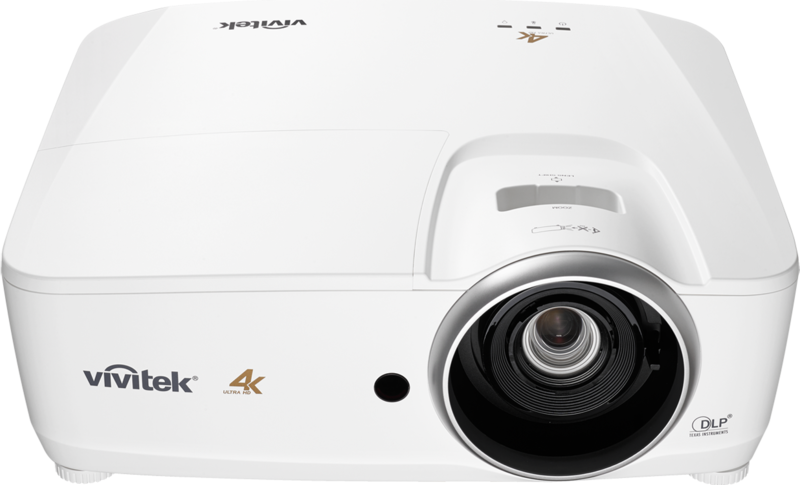 DLP chipset-based projectors produce vivid images with digital clarity and precision. The DLP chip uses millions of tiny mirrors to reflect all the colours of visible light to project a digital image onto a screen. DLP technology delivers high contrast ratios and minimizes the gaps between pixels for bright, sharp pictures. Since the light is reflected off of the mirrors, DLP projectors retain colour accuracy and deliver stunning images onto the screen. Most DLP projectors are designed to be filter-free, which means lower maintenance and operating costs over time. BrilliantColour from Texas Instruments is a multi-colour processing technology that produces vibrant images. BrilliantColour technology uses up to six colours, instead of just the three primary colours, red, green and blue, to improve colour accuracy and brightens secondary colours. 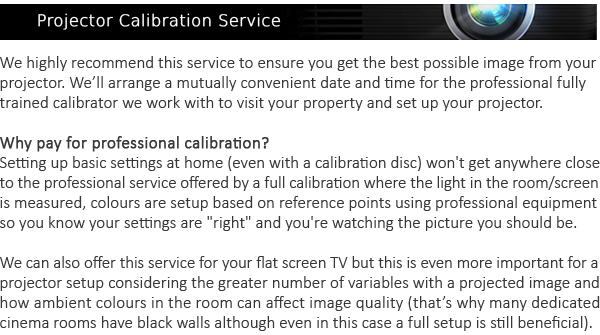 In addition to RGB, BrilliantColor utilises magenta, cyan, and yellow to create more accurate colours than LCD-based projectors. This results in a new level of colour performance that increases the brightness of the colours by up to 50% over DLP projectors without BrilliantColour for accurate, true-to-life images. 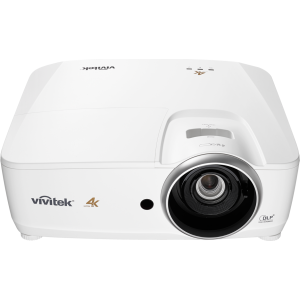 The Vivitek HK2288 gives you the performance you demand under demanding presentations. Demanding presentation requires keen connections including HDMI 3, Mini USB, Audio Out, USB Power (5V/1.5A), RS232.